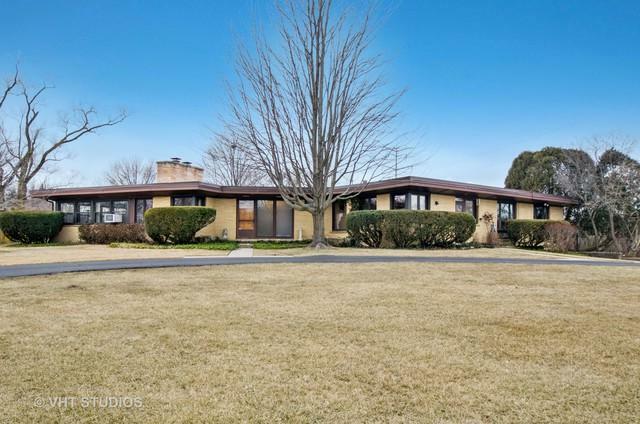 Very nice and well-maintained brick ranch on one-acre sprinklered lot. Slate foyer welcomes you. 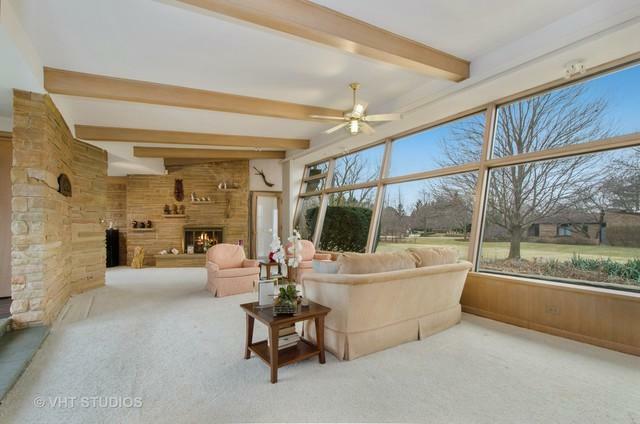 Spacious living room with stone fireplace, beamed ceiling and huge windows overlooking beautiful lawn. Large dining room, updated kitchen with ample cabinetry, Corian counters, island and built-in high table. 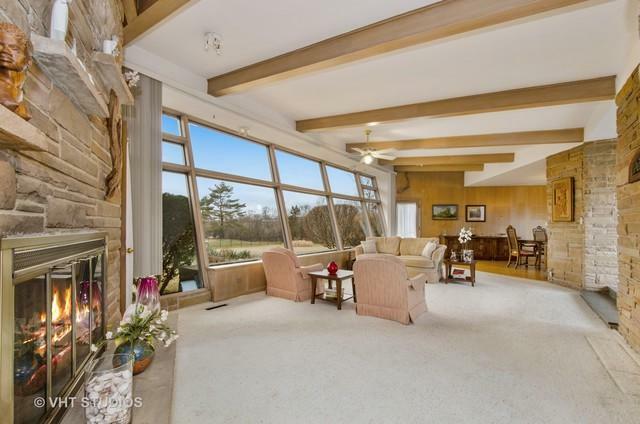 Family room with fireplace, built-ins, many windows and door to the outdoors. Library with floor to ceiling bookshelves. Master bedroom with updated bath and good closet space. Two additional bedrooms, one used as an office and hall bathroom. Partial basement, with direct entry into two car garage. 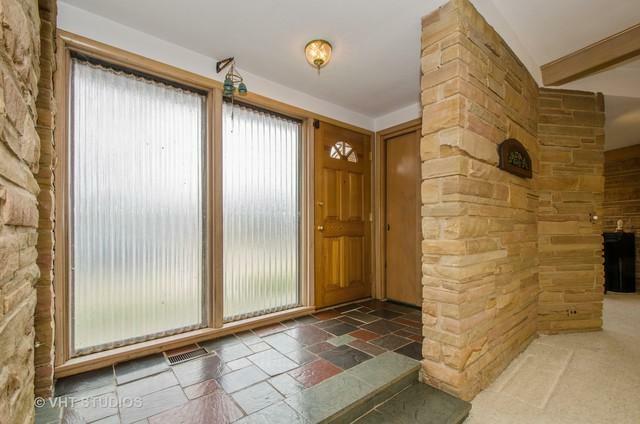 Newer furnace and central air, with a convenient turn around driveway. A Must See!! !